Check out pictures of 970 Denny in Seattle, a project Wheaton Sprague completed for Walters & Wolf Curtainwall. Designed by Weber Thompson architects, 970 Denny is a 40-story tall apartment building with 461 apartments offering a mix of unit sizes and configurations, 4-levels of sub-grade parking housing featuring 374 stalls and 15,098 s.f. of retail. 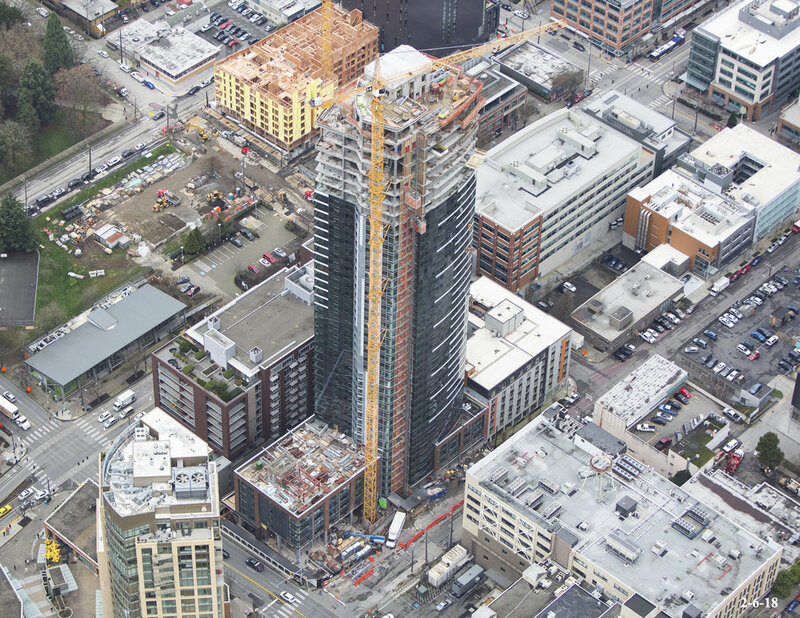 970 Denny juxtaposes a modern, sleek and sculpted 440' tall tower with a crisp structure located at the southernmost edge of South Lake Union and the northernmost edge of Denny Triangle, positioned to enhance the walkability and transit orientation of Seattle's downtown.